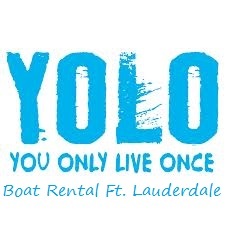 Yolo what is it and why we love our name? Our company history has to do with all about Boating and the outdoors. We grew up with water-sports, yachting and boating around us and learning what South Florida has to offer with its beautiful nature, learned where the best Snorkeling spots are located in our area, coolest tourist attraction’s so good that Travel Agency’s asked us for advice on recommendations to places to go, perhaps a reason we are on Tripadvisor.